With 4 kids and just a busy busy schedule, we are always looking for things that make life easier. 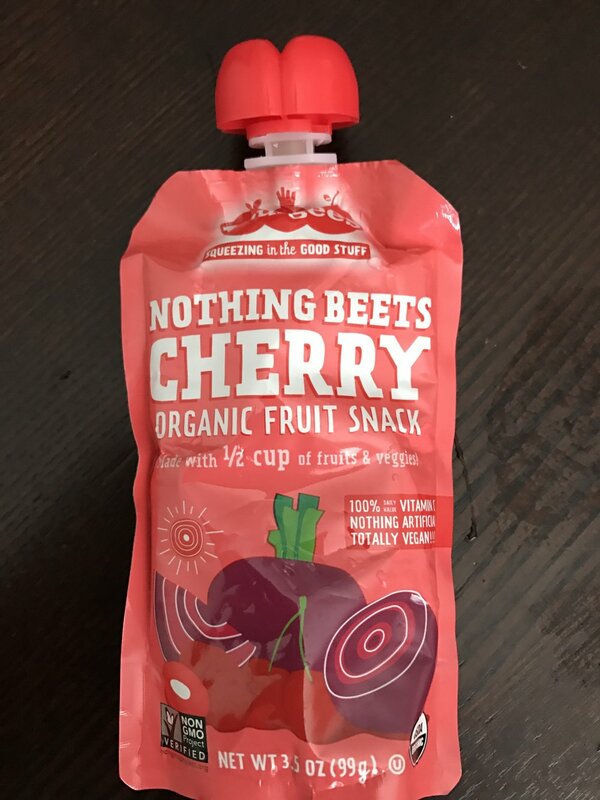 One thing my boys are ALWAYS asking for is a snack so I'll be honest - fruit/veggies in a pouch have been great. Easy to have on hand, ways to travel and no mess. I have said before food pouches were a lifesaver (literally) for Asher, but they have been a huge timesaver for the rest of the family. 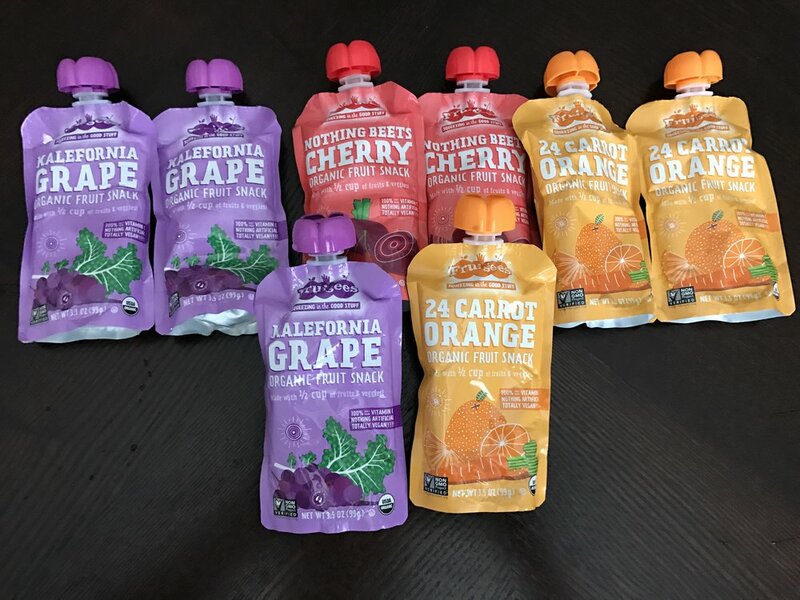 A few weeks ago, we received in the mail some pouch samples from a California company named Fruigees. They had super adorable names: California Grape, 24 Carrot Orange and Kalefornia Grape. They came at a perfect time since I've been considering taking food pouches as fuel for running and I'm always trying to get Asher to eat something new. I took 24 Carrot Orange out on a mid distance run to try for myself and Asher. Brought along enough for the boys to try if they wanted. Stroller ready, bikes ready and we were off! * Organic, non GMO and no added sugar! * Asher enjoyed one of the flavors! * The flavors were very sweet. Almost unnaturally sweet, but yet the ingredients are all fruit and fruit juices. * The texture was thick, thicker than expected. For runners, think the texture of warm energy gel, non runner think jello almost. Overall, we enjoyed the pouches but they unfortunately weren't a huge hit. We all preferred the Orange flavor over the rest but yet it wasn't an overwhelming love. We make it a point to try to support local business and/or small businesses. Considering this is a California based small business we really wanted to love these pouches.